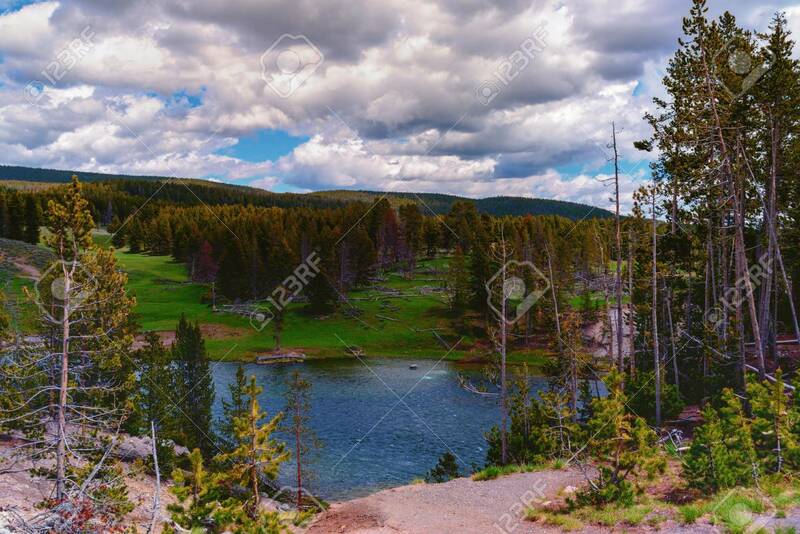 Immagini Stock - Landscape Of The Valley With View Of The Yellowstone River Inside The National Park. Image 106235712. Archivio Fotografico - Landscape of the valley with view of the Yellowstone River inside the national park. Landscape of the valley with view of the Yellowstone River inside the national park.